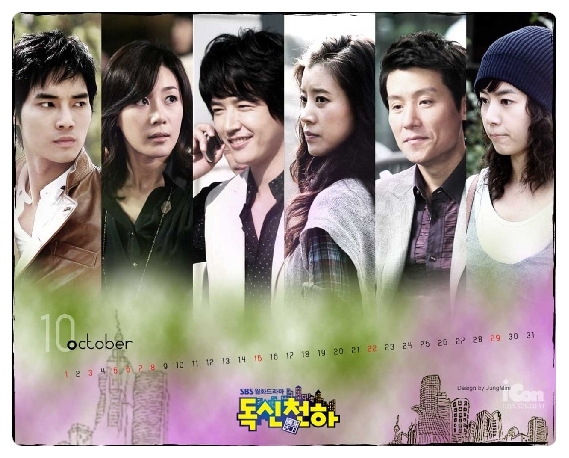 Hye-Jin (Moon Jeong-Hee) is a self-confident woman, who works as a matchmaker for a living. At a nightclub party, she meets a wealthy and handsome guy called Ji-Heon who is committed on staying single, and becomes attracted to him. Ji-Heon (Yoon Sang-Hyun) finds Hye-Jin charming because of her spunky personality. Meanwhile Jung-Wan (Kim Yu-Mi), who was once a star writer, struggles to salvage her career after the TV series she worked on flopped badly with viewers. With the sting of that failure still lingering in her life, she decides to make a huge comeback by writing a TV series about singles and starts interviewing people for good story ideas. Young-Eun (Yoo-Sun) quit her boring job as a teacher and one day she decides to introduce the man she will marry to her family. But on that very day, her boyfriend backs out and tells her that he doesn’t want to marry her. Young-eun’s mother tells Young-Eun that she paid a matchmaking company to find a suitor for her and buys her a new dress to wear on a dating party set up by that company. Hye-Jin, Jung-Wan, and Young-Eun used to be good friends in elementary school but have lost touch with each other. Young-Eun finds herself at a wine party organized by Hye-Jin’s matchmaking company to meet other men. In the meantime, Young-Eun arrives at the party as well to interview singles as a way to find good ideas for her next TV series. The three former friends do not recognize each other throughout the party. Ji-Heon is another guest at the party and finds himself sitting next to Jung-Wan, and is intrigued that she shows little interest in him. Young-Eun gets incensed when she sees her ex-boyfriend courting a young woman at the same party.